Constipation is something that everyone experiences at one point or another, and it’s one of the most common reasons people visit GastroDoxs in Cypress, North Houston, Texas. 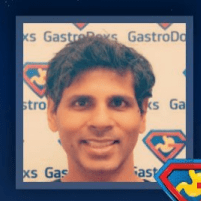 Dr. Bharat Pothuri has helped countless men, women, and children in the Houston area find relief from constipation and get back to their daily routine. Convenient online scheduling makes it easy to find a time to visit GastroDoxs for a consultation and exam. Constipation just means having fewer or more compact bowel movements than normal. Dr. Pothuri emphasizes that there is no strict rule when it comes to how frequently you should have a bowel movement, but more than three days without one may indicate a problem. If you experience these symptoms and the condition does not clear up in a day or two, give Dr. Pothuri a call or come into GastroDoxs for a screening. Several factors can change the frequency or consistency of your bowel movements. These include sudden changes in diet, consuming more dairy than normal, and not getting enough fiber. Excess stress, overuse of laxatives, and taking antacid medications that contain aluminum or calcium can lead to constipation. Failure to get enough exercise can also impact normal bowel function. Conditions including pregnancy, hypothyroidism, multiple sclerosis, and Parkinson’s disease, as well as certain prescription medications, can lead to constipation. When is constipation serious enough to seek medical attention? For most people, occasional constipation resolves itself after a couple of days. However, Dr. Pothuri advises you to listen to your body's signals and schedule an appointment when constipation persists. The best way to treat occasional constipation is to increase your daily intake of water and add more fruits and vegetables to your diet. Many people find relief by adding fiber-rich foods to their diet, including prunes and bran cereals. The occasional use of mild over-the-counter laxatives can provide relief, but never use a laxative for more than a couple of weeks. If you experience pain and cramping along with an inability to pass stool or gas, you should contact GastroDoxs immediately to schedule an appointment. We are conveniently located in Greater Houston and look forward to meeting you.